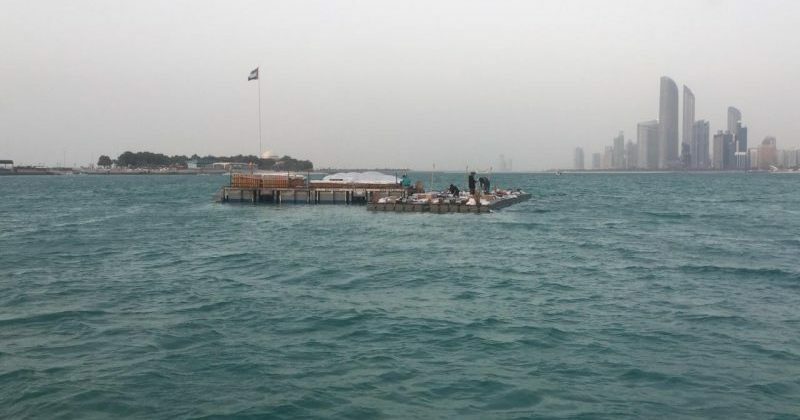 Ecocoast recently supplied and installed floating pontoons to create a temporary platform for Mother of the Nation (MOTN) Festival that took place in Abu Dhabi last month to celebrate, commemorate and honour the inspirational values of Her Highness Sheikha Fatima bint Mubarak, the Mother of the Nation. Having extensive experience in the marine industry, the Ecocoast team has designed, constructed and installed a vast array of modular pontoons for events, recreational, commercial and private use. Combining the technical know-how of its marine team and the versatility of its modular pontoon systems, Ecocoast is able to provide its clients with the most customizable and adaptable solution on the market. The floating HDPE pontoons can be assembled in a variety of shapes and sizes, and are quick to install and remove. A diverse range of accessories can be fitted to the pontoons to extend their use further, such as timber or steel decking, ladders, bollards and handrails. The decks can also be covered with carpet, marine ply, steel or other surfaces. The pontoons can be rented or even be purchased second hand. If you would like to learn more about the kind of events we have been involved in over the past years, check out some of our case studies: New Year’s Eve Fireworks, Chanel Fashion Event, and World Parachuting Championship. To know more about our modular pontoons, check out this page.